On a recent Thursday evening, inside a dimly lit gymnasium at a nearby school, Keneth Ribot ’18 led a group of students, standing in pairs, through a difficult piece of choreography. He demonstrated the first four counts of the dance, pushing and pulling his dance partner to the beat of the music – “Déjà vu,” by Shakira and Prince Royce. He was both graceful and raw, poised and passionate. He’s done this dance before. Since he arrived at The College of Saint Rose, Ribot needed a way to express himself and his Hispanic culture. So, he leaned on the familiar. At family parties, Ribot said, his aunts and grandmothers would call him onto the dance floor to teach him the Merengue. The Bachata and Salsa were learned from his mother — the turns, hip swings, footwork, everything was taught by mom. School days, Ribot said, included time for dancing, too, with teachers encouraging students to dance to music played during lunch periods. “It is something that represents us,” Ribot said. 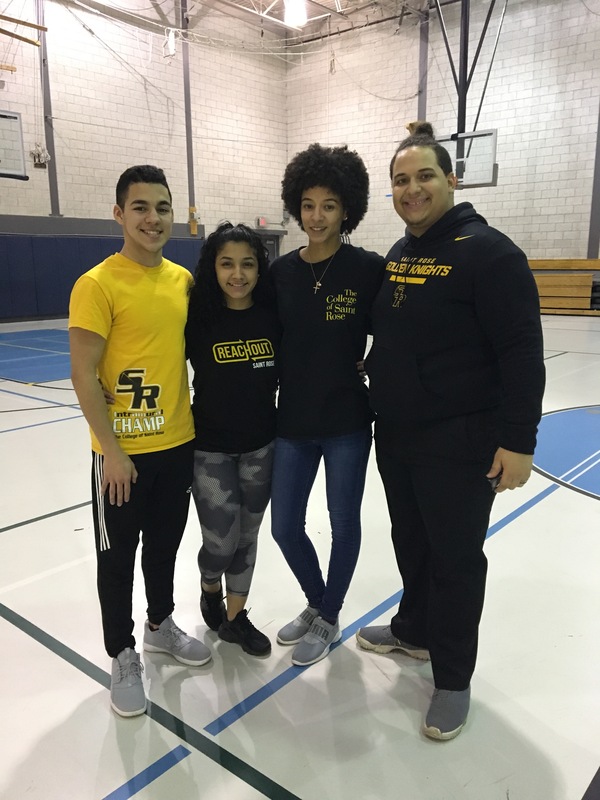 So, it’s no surprise that when Ribot came to Saint Rose, he linked up with Michael Lopez ’18 and Elenie Martinez ’18 to create Sabor Latino, the first Latino organization on campus and second largest dance team at the College. 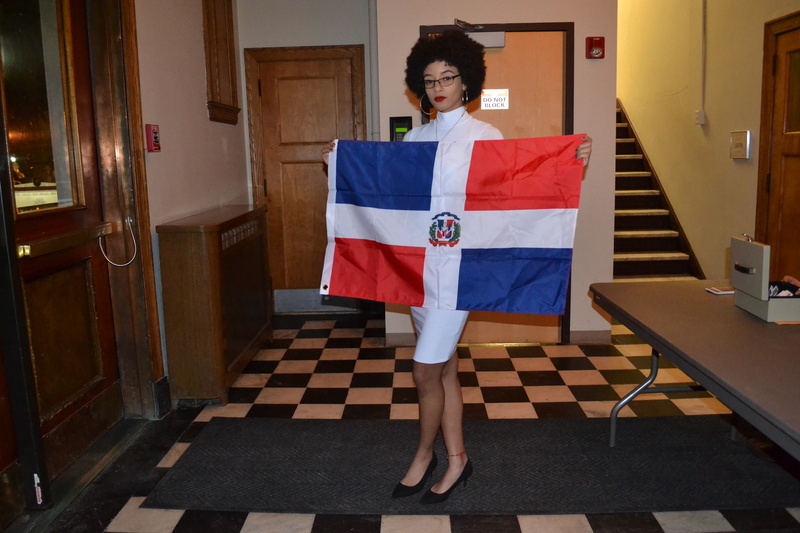 Lopez and Martinez are each Dominican. Like Ribot, dances such as the Salsa, Merengue, and Bachata were integral to their childhoods. While Lopez consumed hip-hop, his mother made sure the household was filled with Merengue and Bachata music every Sunday. He learned how to dance when he was 14 after having enough of being the only one in his family who didn’t know how. “If you are learning how to dance in your teens in a Hispanic household, it’s like, ‘What have you been doing?’” Lopez said. 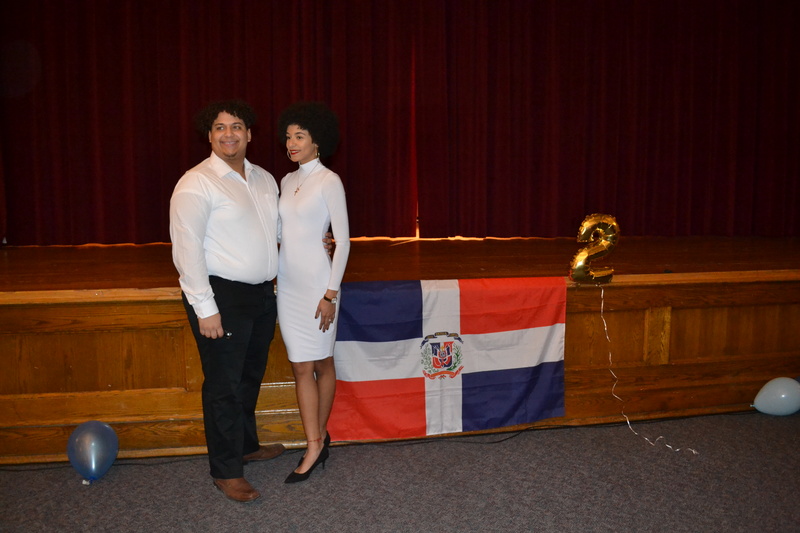 For Martinez, she would visit her dad in the Dominican Republic every summer from middle school on, and had no choice but to keep up with the dance moves that are native to the island. Similarly to Ribot, she learned Dominican Republic’s most popular dance at school, where teachers would teach the students the Bachata and put on a Carnival every year. Growing up, dance was how they celebrated their culture. When they arrived at the College, Ribot, Lopez, and Martinez were immersed in a totally different environment and experienced a bit of a culture shock. Sure, Saint Rose had plenty of dance teams, but no Hispanic dance teams. But they had each other, which meant they had dance partners. His first year at Saint Rose, Ribot met Lopez at a campus event called Orgullo Latino, which celebrated Hispanic culture. He spotted Lopez on the dance floor showing off his moves. Ribot along with his girlfriend, Yara Rivera ’18, became instant friends with Lopez and Martinez. Dance isn’t the only thing they have in common. The two couples are both high school sweethearts and have each been dancing with their significant other for five years. Sometimes, they’d talk about starting a Hispanic dance team at Saint Rose. That — talk — was as far as Ribot thought things would go. 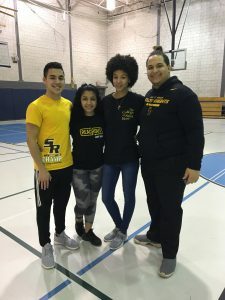 Entering his junior year, Ribot met with Lopez and Martinez to discuss details about what the club would represent, who would choreograph their performances, and what types of dances they would perform. The following week they were forming a constitution and presenting their idea to Student Association. 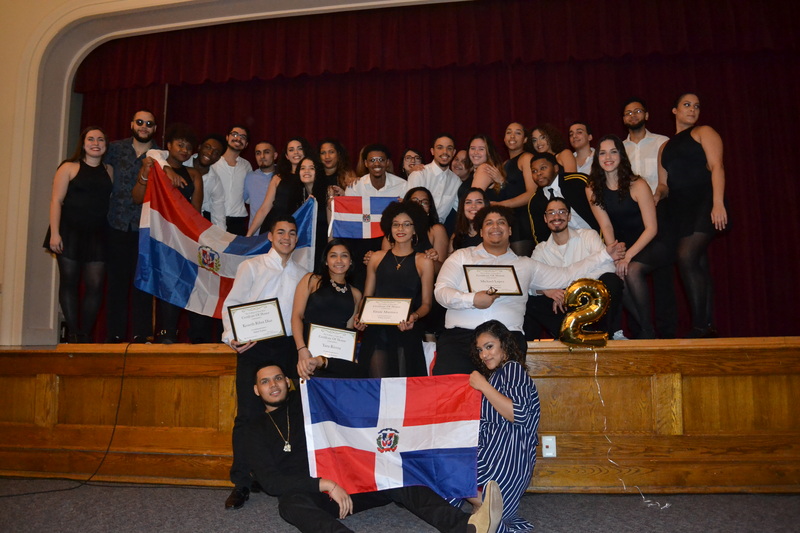 Today, Sabor Latino is the first Latino organization and one of the largest dance teams on campus with 35 students and counting. They perform at events on and off campus (at local school districts), host fundraisers at Saint Rose, and practice twice a week from 9 to 11 p.m. Anyone can join, however, they must audition to perform with the team. Their goal? Not only to create an environment that’s familiar to Hispanic students, but to teach other students of different backgrounds and identities about their culture. The Sabor Latino team looks out for each other like family. 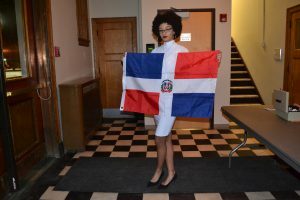 When Hurricane Maria devastated Puerto Rico, Sabor Latino collaborated with the ALANA Steppers, Golden Knights Dance Team, The Girls Next Door, and the Rose Bud Record Label to raise money for those affected by the natural disaster. They were thrilled to collaborate with other organizations for a cause that hit close to home for some of their teammates. Martinez said they’re constantly looking for opportunities to bridge the gap between different organizations on campus. Lopez uses the word “defend” to describe how he and his friends freestyle. He said, not unlike “West Side Story,” you can challenge another dancer by selecting a dance to “defend” yourself. “Basically, it’s like, if you put music on, live or die. Give it your best dance. What would you defend yourself with?” said Lopez, who chooses the Bachata. They incorporate this style of dance into their performances, where they often “freestyle” to hype up their audiences. The music they select is a combination of old and new. Most of the team grew up listening to classic salsa music by Hector Lavoe or Marc Anthony, and they like to pay homage to these “throwback musicians.” The Bachata, however, is where they infuse modern Hispanic music with their choreography. “There are more upcoming artists and bigger stars in that genre,” Lopez said. Ribot, Rivera, Lopez, and Martinez are seniors and are bittersweet about leaving Sabor Latino behind. The founding members have ambitious goals for the members who will take over after they graduate. They hope they expand the range of dances that are performed, such as the Flamingo, Tango, and maybe even some hip-hop. 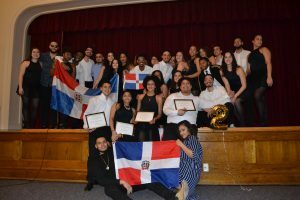 However, like their Hispanic families instilled in their upbringing, they hope they continue to keep the Bachata, Merengue, and Salsa alive their performances.